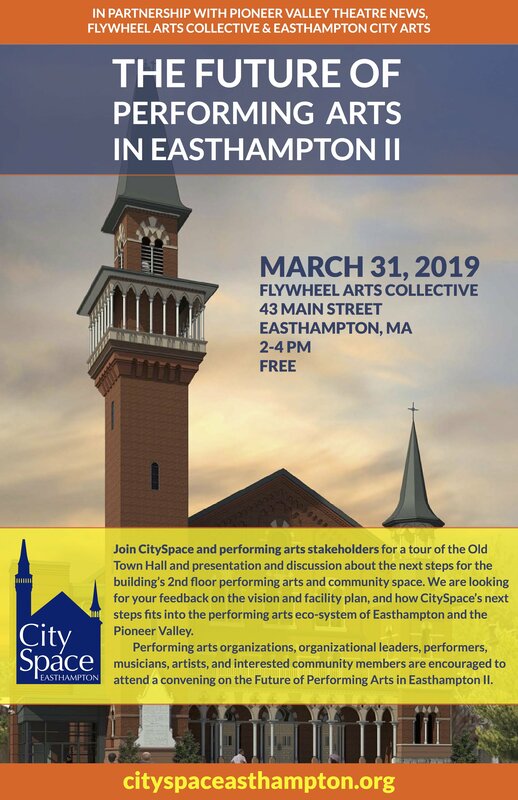 This Sunday, March 31, 2-4 PM at Flywheel Arts Collective, I'll be helping to host a conversation about the Future of the Performing Arts in Easthampton. We'll be touring the second floor of Easthampton's Old Town Hall building and discussing plans for it's future. Please join us. I recommend you register soon as space is limited. We are also in the last few days for applicants to the Technical Director position at Smith College - spread the word! Like many of us, I’ve spent a lot of time feeling disturbed, depressed, and defeated as the climate crisis grows. I’ve done a lot of soul searching to understand how I can transform my despair into something meaningful. 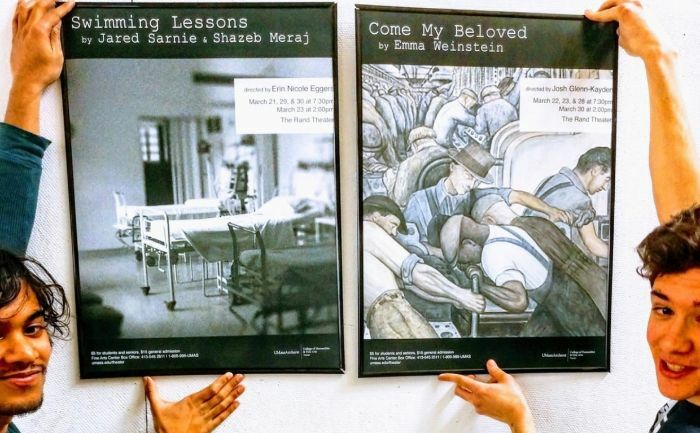 Having long been fascinated and compelled by the power of art to command attention and inspire people to care about things, I wanted to study how this power could be wielded to encourage people to care about and act upon climate change. As a graduate student, I attempted to do just that. Ironically, the most significant thing I learned is that the true power of art isn’t something that one “wields” at all. 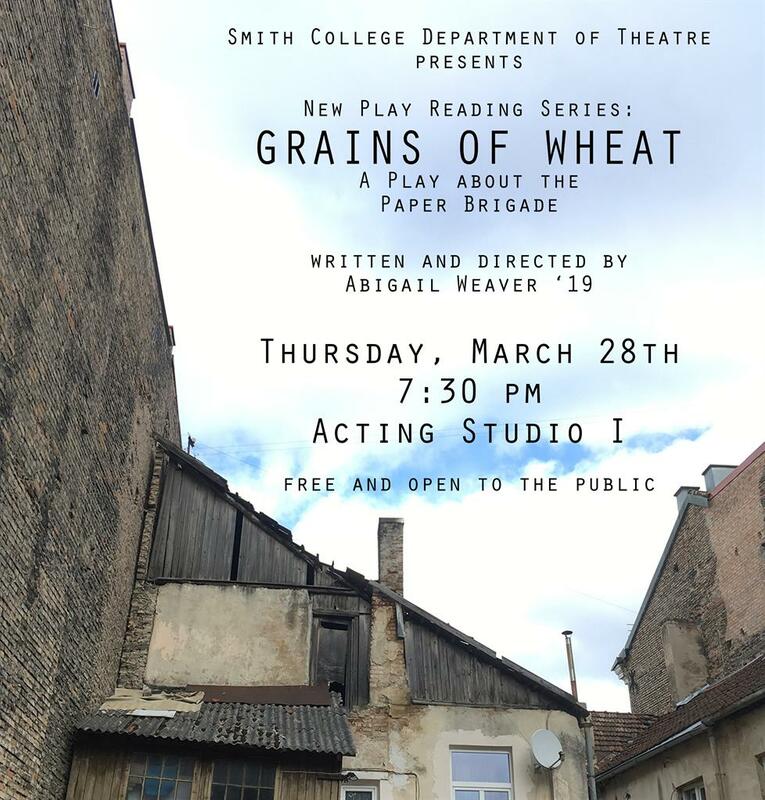 GRAINS OF WHEAT: A play about the paper brigade written and directed by Abigail Weaver. In the 1940s, in the city of Vilna, a group of Yiddish writers and partisans smuggled hundreds of thousands of books and cultural artifacts to safety. Twice. Based on a true story. 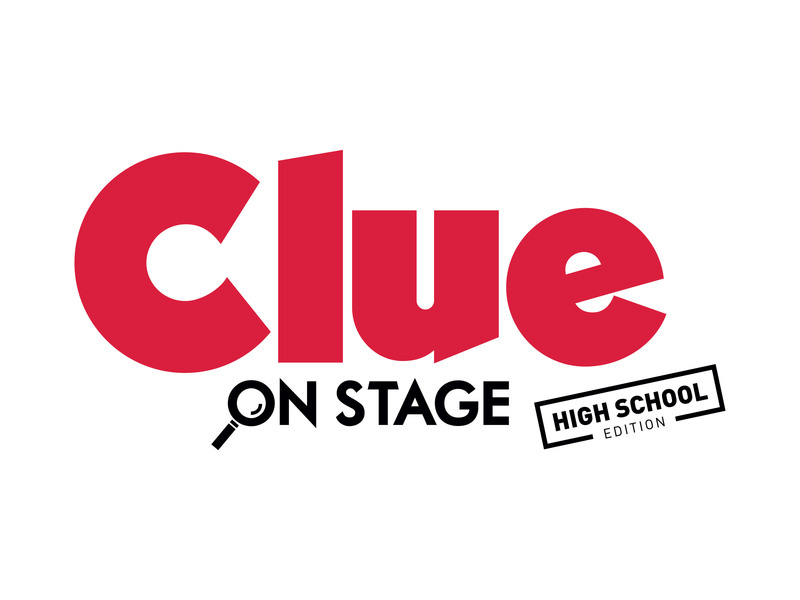 March 30 at 2 p.m.
$7.50 general admission per play, $5 per play for students and seniors. 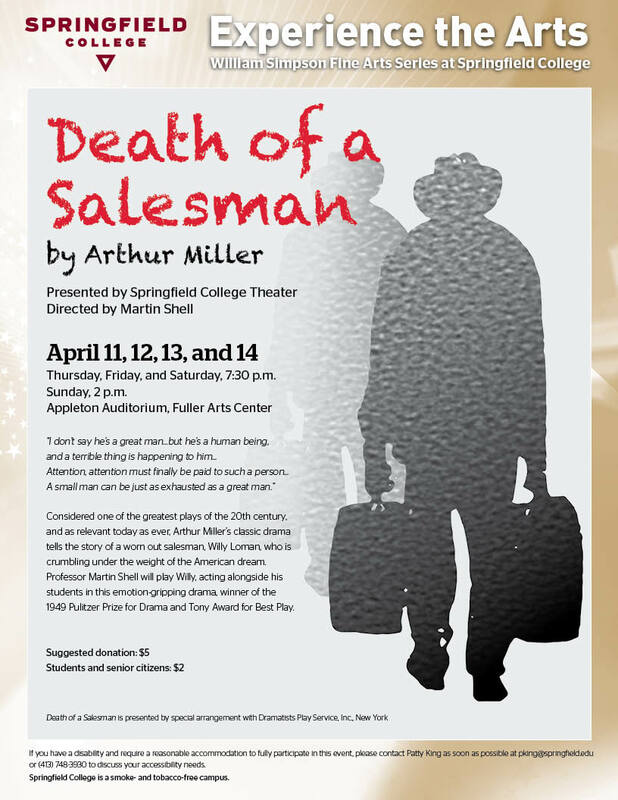 Call 1-800-999-UMAS or visit the Fine Arts Center Box Office online. Play Lab is for finding undiscovered gems. The exciting new works we present each year are fresh from the printer, and our Play Lab audiences are the first to see them live on stage! 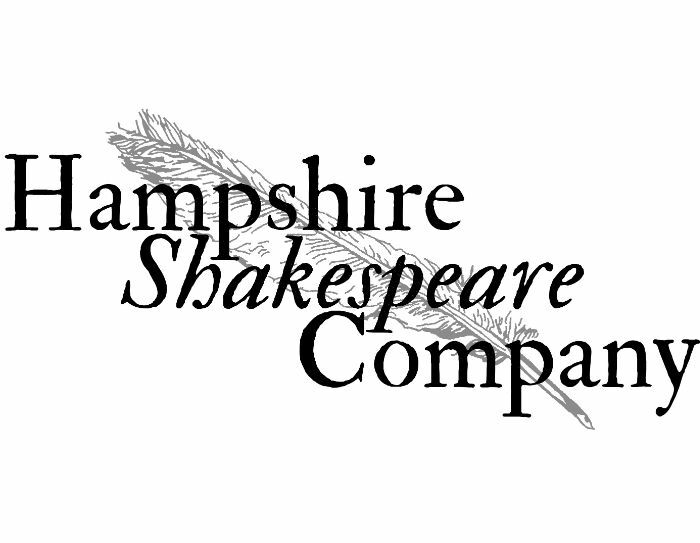 From March 21-30, the 2019 edition of the UMass Amherst Department of Theater New Play Lab will present staged readings of two new plays that have been workshopped with the playwrights, MFA Directors and Dramaturgs and a company of actors. Come My Beloved, by emerging professional playwright Emma Weinstein, is a new play about race, intimacy, and Detroit, MI, and Swimming Lessons, by a pair of UMass students, Jared Sarnie and Shazeb Meraj, follows two young hospital interns as they navigate life, politics, and cultural differences. Weinstein's Come My Beloved will be directed by Josh Glenn-Kayden with Shaila Schmidt as dramaturg. We experience the continuing impact of race and gentrification on personal relationships through a look at three black and Jewish couples from three different decades in Detroit. Heartfelt and insightful, Come My Beloved explores the downfall and resurgence of one of America’s most important cities and the vastly different trajectories of two communities within it. These three writers will follow in the footsteps of previous years’ playwrights, including some whose plays have gone to be produced on the UMass mainstage and at professional theatres across the country. They will sit in on rehearsals and performances to hear their plays aloud, honing their work night by night. Those who come for our opening night may be seeing a completely different play than those who come to our closing performance! This makes Play Lab a safe haven for established and emerging playwrights; it's also an opportunity for audiences to see new ideas in action and see the beginnings of what could be a masterpiece. Get your tickets now to be in the room to be part of this creation! We want to hear what you think! 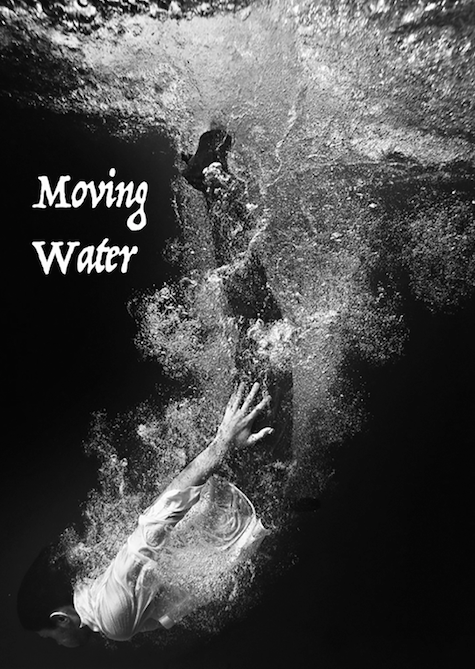 Please join the Swimming Lessons cast and crew on March 23 at 2 p.m. and March 29 at 7:30 p.m. for a Post-show Discussion. Please check our website for information about Come My Beloved discussions. How many chances do we get to make a first impression? For Roland and Marianne, the answer is infinite. In the play, running March 22-30 in the Mark Landy Party Hall at Gateway City Arts in Holyoke, Payne proposes that life exists in a multiverse, in which countless parallel existences play out simultaneously, allowing for an infinity of possible futures. In Constellations, some of these parallel universes play out over the course of Roland and Marianne’s relationship. Do they hit it off right away or part ways, never to meet again? Does he break her heart? Does she break his? Will their relationship take root and grow into something beautiful, or will their romance be cut short by the decisions they’ve made? Marianne is played by Jen Campbell, and Roland by Kevin Tracy. 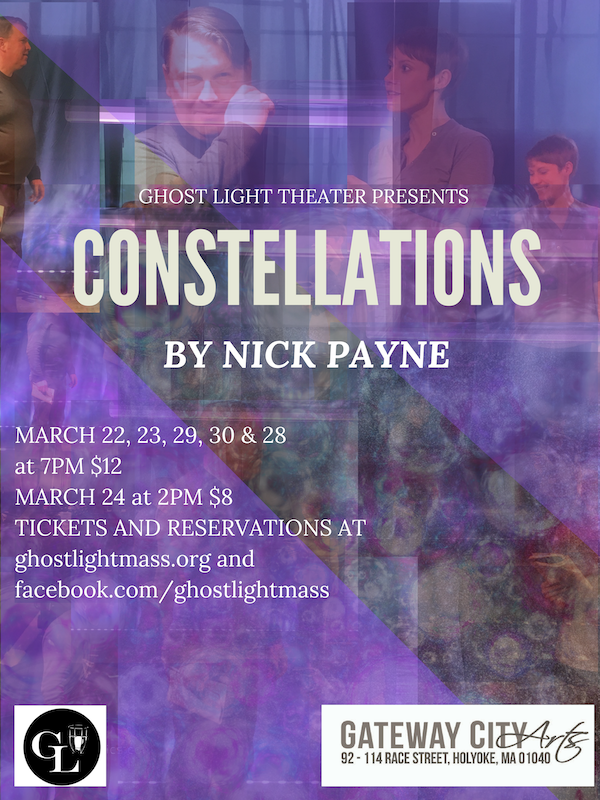 Performance for Constellations are March 22, 23, 28, 29 & 30 at 8:00 PM, and March 24 at 2:00 PM. Tickets are $12 for evening performances & $8 for matinees and can be purchased at the door or online. Constellations is presented by special arrangement with Dramatists Play Service, Inc., New York. 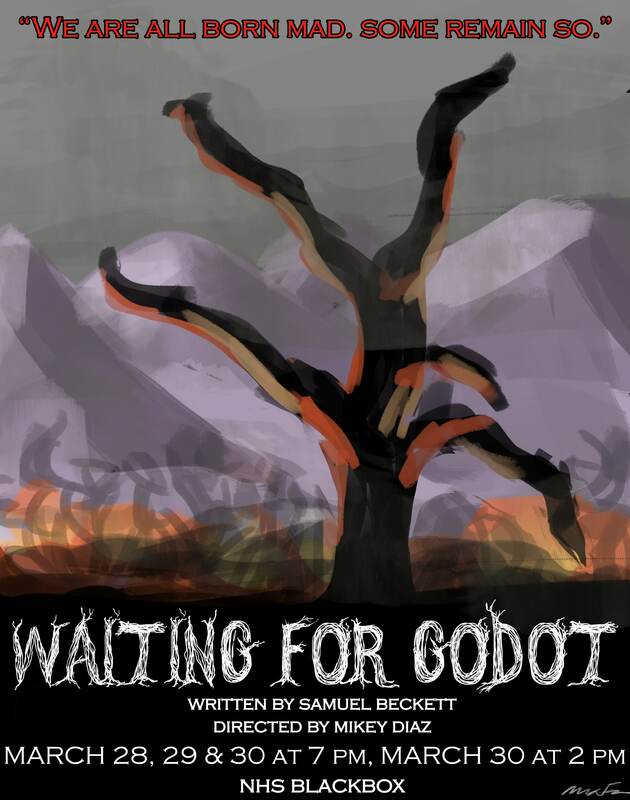 Experience Samuel Beckett's critically acclaimed play IN THE ROUND this spring. Immersive yourself in the modern classic at Northampton High. 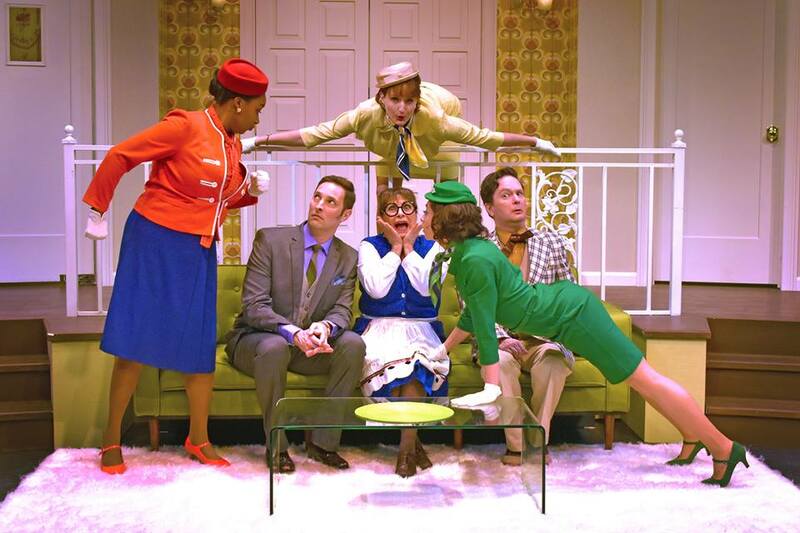 “Boeing-Boeing,” a classic French farce by Marc Camoletti, will be presented at West Springfield's Majestic Theater February 21 – March 31. The comedy, translated and adapted by Beverley Cross, premiered in London in the 1960s where it ran for seven years. A 2008 Broadway revival garnered Tony Awards for Best Actor (Mark Rylance) and Best Revival of a Play. Majestic Theater veteran Rand Foerster will direct the play with Danny Eaton serving as producing director. Greg Trochlil is set designer, Dawn McKay is costume designer, Dan Rist is lighting designer and production manager is Stephen Petit. Actors include Jack Grigoli (Bernard), Scott Renzoni (Robert), Christine Anthony (Bertha), Kyle Boatwright (Gloria), Katie Mack (Gabriella) and Larissa Marten (Gretchen). Tickets for these shows range from $24-$34 and are now available by calling or visiting the box office during its hours of operation, which are Monday through Friday 10am – 5pm and Saturday 10am – 1pm. Wilbraham United Players production of SOMETHING'S AFOOT opens March 29th and continues with performances through April 7th. Billed as a Murder Mystery Musical the story includes an old English mansion. A raging thunderstorm. Ten strangers. Murder, mystery, music and comedy abound when the guests disappear one by one - knocked off by cleverly fiendish devices. Join the fun as Miss Tweed the amateur sleuth sets out to solve the crimes…but did the butler do it? With songs like "I Owe It All To Agatha Christie," it's a zany whodunit for all to enjoy. The musical will delight audiences from 8-80. Directed by Deborah Trimble with musical direction from Benjamin Maniscalchi and choreography by Dina Del Buono, the cast includes: Carolyn Averill and Tiera Everitt from Wilbraham as Hope and Letty. John Farrell and Meaghan Callahan of Chicopee as Flint and Lady Manley-Prowe, David Leslie of Longmeadow as Nigel and Joe Lessard of Enfield as Dr. Grayburn, Paul Nesbit and Jay Muse from Springfield as Colonel Gilweather and Clive the butler and Jay Lee as Geoffrey and Kate Hebert as Miss Tweed - both of Holyoke. The play is produced by Stacy Gilmour and Patricia Colkos. 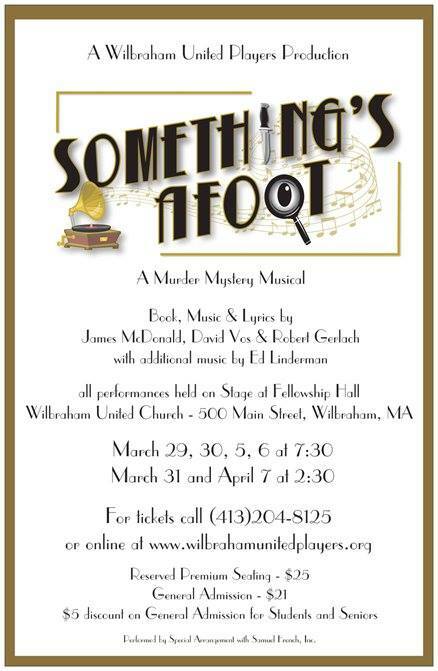 SOMETHING'S AFOOT will be performed on the Fellowship Hall Stage at the Wilbraham United Church - 500 Main Street in Wilbraham. Performances on Friday and Saturday evenings at 7:30 with Sunday afternoon performances at 2:30. Tickets are $25 for Reserved Premium Seating and $21 for General Admission Seating. A $5 discount is available for Students and Seniors on the General Admission Seating. 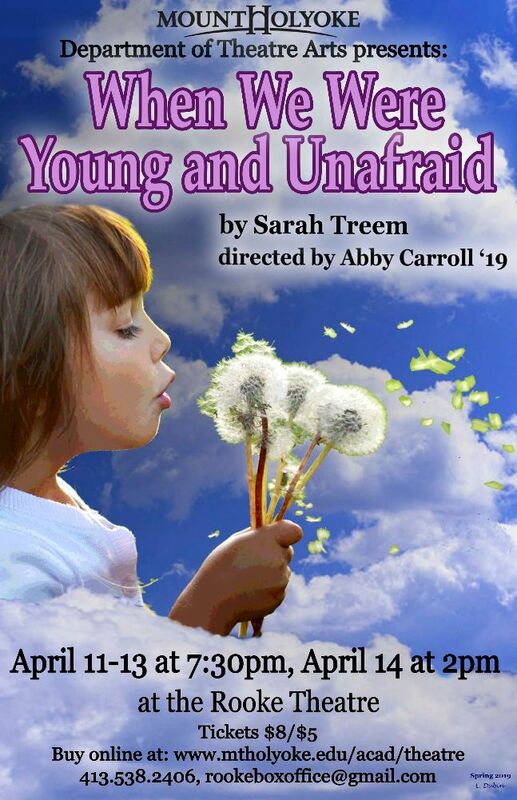 Tickets can be purchased online at www.wilbrahamunitedplayers.org or by calling (413)204-8125. A convenience charge is applied to all tickets. 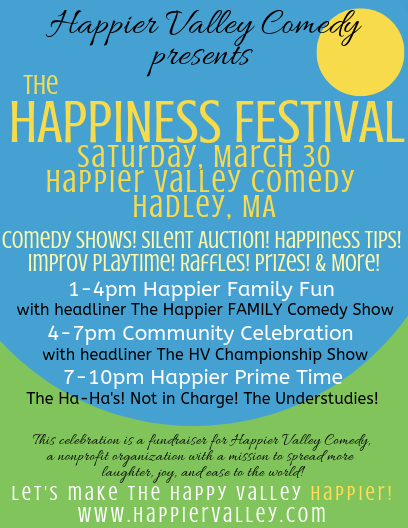 A full day of shows, activities, raffles, and a silent auction to benefit Happier Valley Comedy, a registered nonprofit dedicated to bringing more joy to Western Massachusetts. Saturday, March 30th from 1pm to 10pm at the new Happier Valley Comedy Theater (1 Mill Valley Rd, Hadley, on rte.9). For more info: www.happiervalley.com. April 4 at 7:00 PM, Friday, April 5th @7:00 p.m. & Saturday, April 6th @ 2:00 p.m. Produced by special arrangement with Broadway Licensing. All ticket purchases must be made at the box office before the performance. 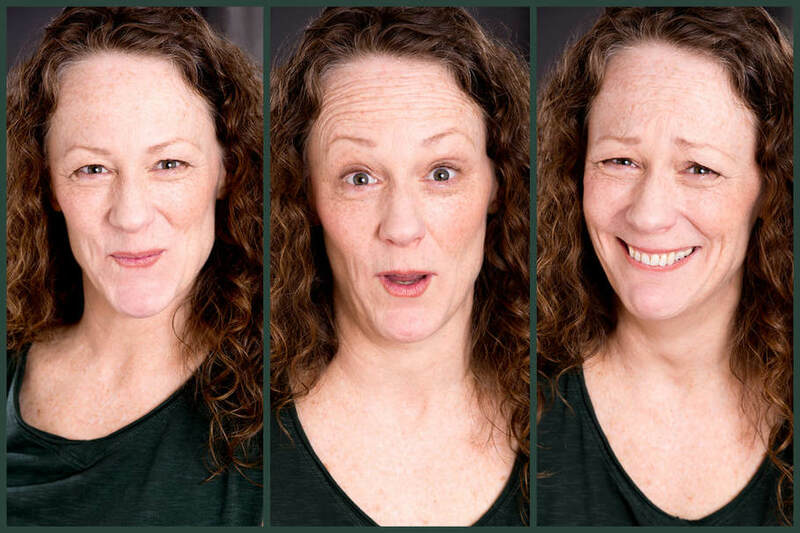 THEM WHAT BRUNG YOU, a new play by Tanya Ritchie, directed by Mary Beth Brooker. Women have babies every day. But wild, wonderful West Virginia can be very dark at night. No cell service. You wouldn't want to lose your way. April 4, 5, 6, 11, 12, 13 at 7:30 p.m.
April 13 at 2 p.m.
Lynn Nottage’s Pulitzer Prize-winning play, Sweat, explores systems of oppression and how they are internalized by people. This April, renowned director and UMass Theater Professor Gilbert McCauley brings to life Lynn Nottage’s Pulitzer Prize winner at UMass. 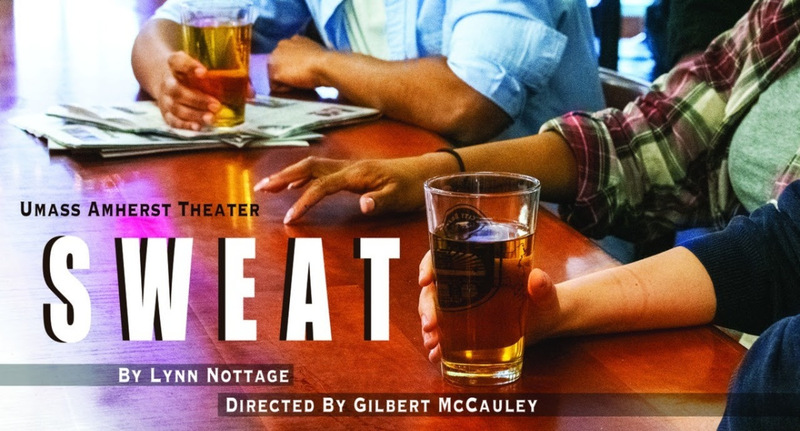 Inspired by real-life stories, Sweat takes place in Reading, PA, where a group of friends spends their days together working at Olstead’s Steel Tubing, and their nights having fun and blowing off steam at a local bar. Layoffs for some, and promotions for others, bring out tensions as lives are twisted and relationships splinter. This play offers an intimate study of how national turmoil plays out on a community level. Come join us for a play that’s ready to spark a conversation across the political divide. $15 general admission, $5 for students and seniors. Call 1-800-999-UMAS or visit the Fine Arts Center Box Office online. Please join us on a delicious adventure as Hatfield students proudly presents Willy Wonka, a scrumdidlyumptious musical guaranteed to delight everyone’s sweet tooth! It is 1972 and Agnes has turned her bed and breakfast into a shelter for abused women. We follow her, her daughter, and the women who have come to seek refuge as they struggle with their footing in a rapidly shifting political landscape. Box Office will be staffed beginning Mon, April 8, 3-6 pm daily and one hour prior to performance. theatre company, is pleased to announce the first program of the company’s inaugural season, the Season Teaser Wine and Cheeser fundraiser. Designed to both introduce the company and create a dialogue with the community, the candid Season Teaser Wine and Cheeser will feature readings from the upcoming season’s works, complemented by light refreshments. The event will take place on Saturday, April 13 th at 7 p.m., at the Northampton Center for the Arts at 33 Hawley Street in Northampton. All proceeds will go toward Strident’s launch and inaugural mini-season this summer. To purchase tickets to the Season Teaser Wine and Cheeser, please click here. For general information on Strident Theatre, please visit the website, or Facebook page, or email info@stridenttheatre.com. Three women, three generations, three sets of problems, one house – a recipe for flying sparks! Supervise and instruct students in technical responsibilities for the theatre complex and assist the instructor of set design courses. Responsible for scene shop operations and the safe use of theatre spaces in the Mendenhall Center for the Performing Arts. Supervise the Assistant Technical Director, student interns, assistants, and crews in the use and maintenance of all shop and stage equipment and stage properties, the setup and safety of flexible seating, dismantling and recycling of all scenery; organization of the technical and stage crew, and general shop and stage safety. Create all construction drawings and direct the engineering, construction and rigging of all scenery including the scheduling of scenic construction, scene painting, installation of technical elements. Maintain, organize, and inventory all shop equipment, scenery, properties, platform storage, traps, flying equipment, floor treatments, rehearsal and stage spaces. Prepare annual stage and shop budget request and supervise all expenditures. Assist with the instruction of design and technical areas as requested by design faculty. Consult with the Assistant Technical Director, who serves part-time as the Technical Director for the Department of Dance, regarding dance production needs in theatre spaces. Assess the production needs of non-Departmental groups, provide a list of pre-approved technical staff, and/or approve the qualifications of visiting technical personnel. Supervise the safe use of theatre spaces, including the scene shop and technical equipment, with the exception of lighting and sound equipment. Oversee the maintenance of all performance spaces. Education/Experience: Master of Fine Arts degree in appropriate field or professional equivalent experience. Skills: Must have requisite technical skills in all aspects of construction, carpentry, metal work, and stage rigging, as well as a complete knowledge of shop and stage equipment. Knowledge of Vector Works and/or Auto CAD design software required. Knowledge of theatrical automation a plus. APPLY ONLINE before March 30. 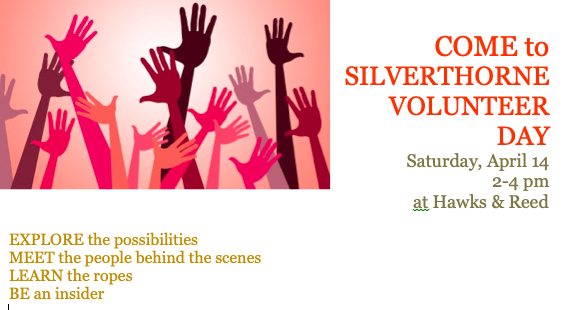 We are looking to expand membership in FRIENDS OF SILVERTHORNE, our exceptional group of enthusiastic volunteers who help us out with many basic jobs throughout the year. (and not-so-basic) jobs throughout the year. It’s a great way to meet new people with common interests! There is NO membership fee to join FOS! Your time is priceless as far as we’re concerned. 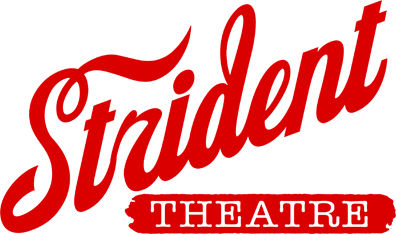 comp tickets; play reading events; meet the actors, directors and sometimes even the playwrights. 4/12/19 @ 5-9 p.m.; 4/13/19 @ 12-4 p.m.
Callbacks will be on Sunday, April 14 @ 5 - 9 p.m. Please prepare a 1 – 2 minute Shakespeare monologue. People interested in auditioning for female roles in Taming should also prepare at least 30 seconds of a rock song. Questions? Contact us via email or message us on Facebook.